You are here: Home / MISCELLANEOUS / WHAT ARE THE TOP 10 FACTS ABOUT HISPANICS IN DC, MARYLAND & WISCONSIN? WHAT ARE THE TOP 10 FACTS ABOUT HISPANICS IN DC, MARYLAND & WISCONSIN? The District of Columbia’s total Hispanic population is 54,749 or 9% of the capital’s population (U.S. Census Bureau, 2010). There are 16,000 Hispanic eligible voters in the District of Columbia, which constitute 4% of all eligible voters in the district (Pew Hispanic Center, 2010). Between 2000 and 2010, the District of Columbia’s Hispanic population grew by 22% (U.S. Census Bureau, 2010). Three-in-ten (32%) of Hispanics in the District of Columbia are eligible to vote. In contrast, 84% of the capital’s White population is eligible to vote. (Pew Hispanic Center, 2010). Sixteen percent of Hispanics in the District of Columbia do not have health insurance (Pew Hispanic Center, 2009). Maryland’s total Hispanic population is 470,632 or 8% of the state’s population (U.S. Census Bureau, 2010). There are 113,000 Hispanic eligible voters in Maryland, which constitute 3% of all eligible voters in the state (Pew Hispanic Center, 2010). Between 2000 and 2010, Maryland’s Hispanic population grew by 106% (U.S. Census Bureau, 2010). 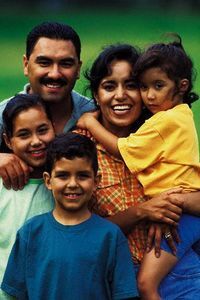 The Hispanic population in Maryland is the 20th largest in the nation (Pew Hispanic Center, 2010). Three-in-ten (30%) Hispanics in Maryland are eligible to vote. In contrast, 78% of the state’s White population is eligible to vote (Pew Hispanic Center, 2010). Wisconsin’s total Hispanic population is 336,056 or 6% of the state’s population (U.S. Census Bureau, 2010). There are 106,000 Hispanic eligible voters in Wisconsin, which constitute 3% of all eligible voters in the state (Pew Hispanic Center, 2010). Between 2000 and 2010, Wisconsin’s Hispanic population grew by 74% (U.S. Census Bureau, 2010). Less than four-in-ten (37%) of Hispanics in Wisconsin are eligible to vote. In contrast, 78% of the state’s White population is eligible to vote (Pew Hispanic Center, 2010). In Wisconsin, Hispanic eligible voters are outnumbered by black eligible voters by a margin of 2 to 1 – 106,000 Hispanics to 210,000 blacks (Pew Hispanic Center, 2010). « WHAT IS THE SUPREME COURT GOING TO DO ON THE QUESTION OF OBAMA’S SIGNATURE HEALTH CARE OVERHAUL LAW?